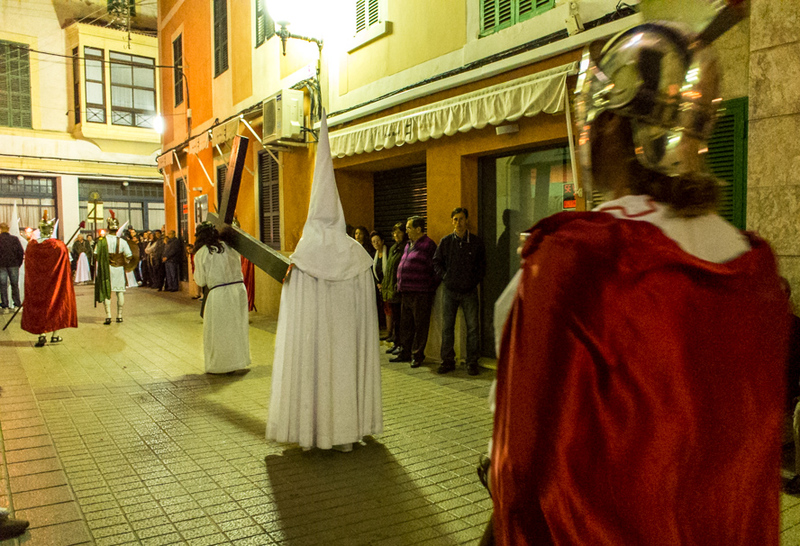 In Palma de Mallorca, there were 34 cofradías (brotherhoods) participating in this year’s Easter processions, across the island there are about 200. On Maundy Thursday, Jesus was seen carrying the Cross. The photo was taken in Felanitx, Mallorca, Baleares, Spain. The date: April 17th, 2014.